Swiss fans disgrace themselves in European clash. 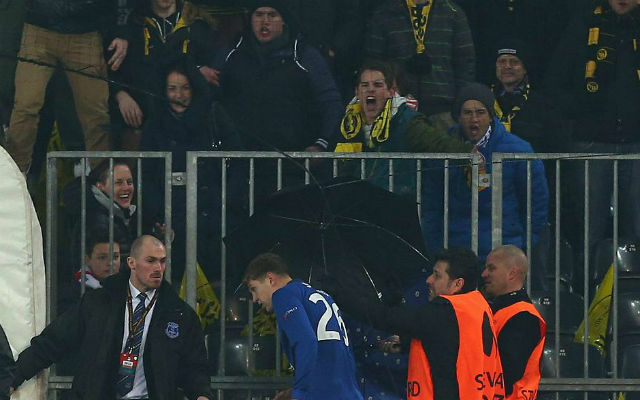 Everton stopper John Stones was forced to take cover as he exited the pitch on Thursday night as he was pelted with objects from angry Young Boys fans, The Sun reports. The young England international was dismissed during the second half for a clumsy challenge on Sekou Sanogo, which resulted in a penalty for the home side. But luckily for Roberto Martinez, the Swiss side missed and they will now take a comfortable 4-1 lead into the second leg at Goodison Park. 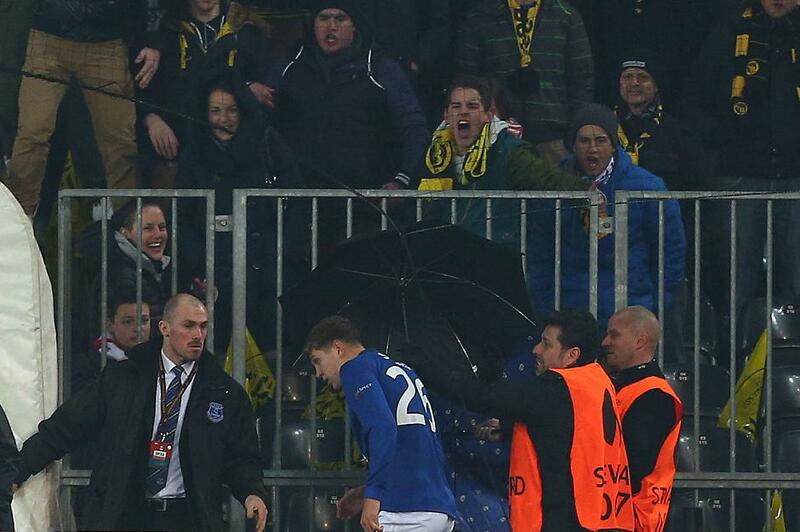 Stones was forced to cower under umbrellas as he made his way to the tunnel, but Martinez said that the experience will be good for the rookie star. “When you play in games like this you need to show experience and John Stones will learn massively from today’s moment,” Martinez said. “The red card was the only negative we had from this game and it was a team performance that deserves incredible credit. “We had to dig deep and defend with ten men but even after the red card we still looked the team with the most threat and that says a lot about the tactical awareness which our players have developed. “To come away to a team with such an impressive home record as Young Boys have and to concede an early goal left us with a big mountain to climb, a real test of character.